Grilled salads are the best way to beat hunger pangs before the main meal. Look at our wide selection of grilled salads recipe and learn how to make grilled salads. 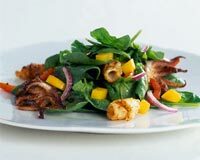 Grilled Squid Salad is a delicious Italian recipe. Learn how to make/prepare Grilled Squid Salad by following this easy recipe. Grilled Zucchini Salad is a healthy and appetizing starter. Learn how to make/prepare Grilled Zucchini Salad by following this easy recipe. 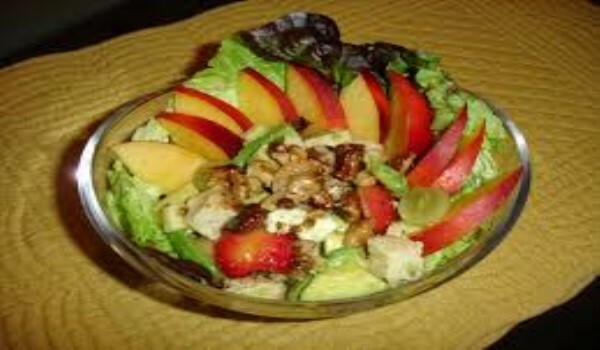 Grilled Chicken Salad with Seasonal Fruit can be prepared anytime round the year using seasonal fruit. Learn how to make/prepare Grilled Chicken Salad with Seasonal Fruit by following this easy recipe.